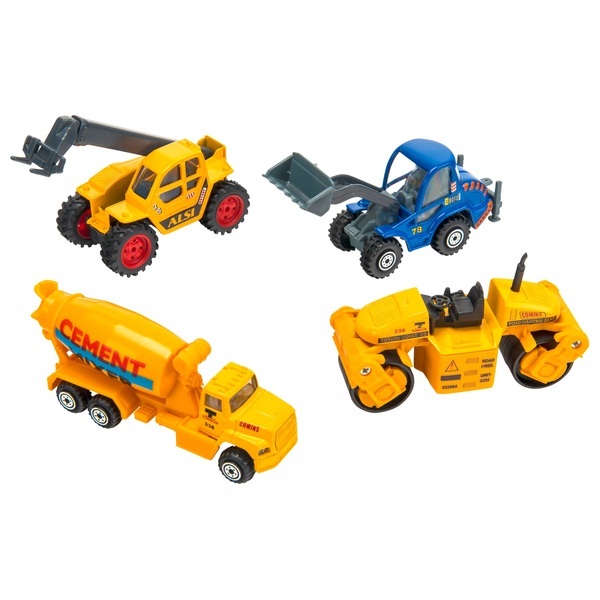 Your little one will have lots of fun with this Construction Machines 4 Pack! These free-wheeling mini machines include a wheel loader, backhoe, excavator, forklift, cement mixer, telehandler and dump truck to name some. They help you to ensure that you are prepared to tackle even the toughest job sites! Styles and colours may vary.